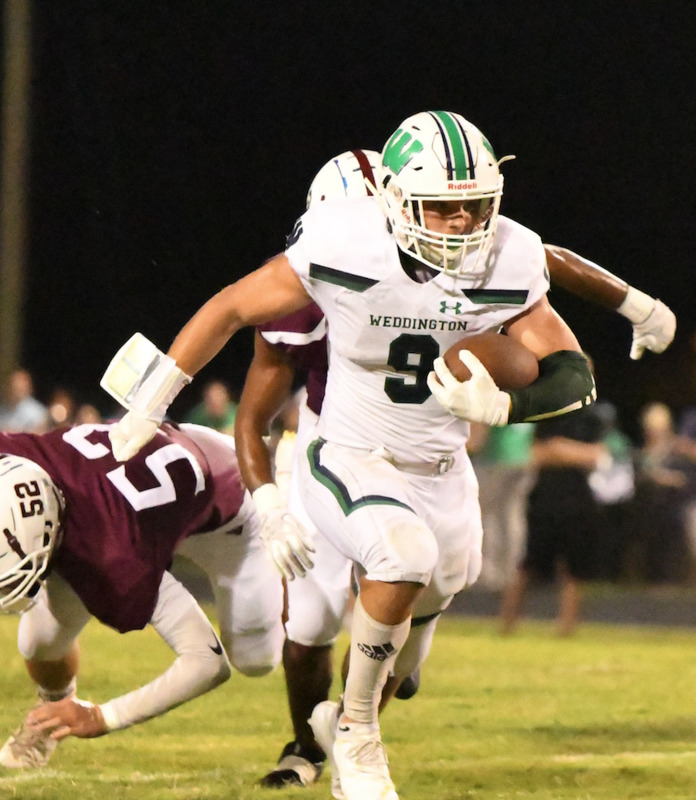 Week 6 Player of the Week is Weddington's Will Shipley. Will helped lead the Warriors to a 31-21 win over Sun Valley. Shipley ran for 146 yards on 20 carries and one touchdown. Shipley also had four receptions for 61 yards and a touchdown for Coach Andy Capone. The Warriors improved to 5-0 overall and 1-0 in the SCC. Congrats Will! !